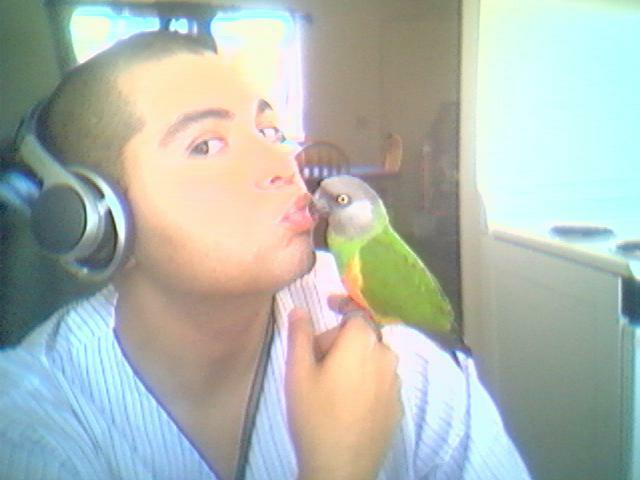 Hi, my name is Kiwi, and I'm an African Senegal Parrot (Poicephalus Senegalus - Linné 1766) who was adopted by Louis C. Candell (isn't he the cutest daddy!) on July 30, 2003. 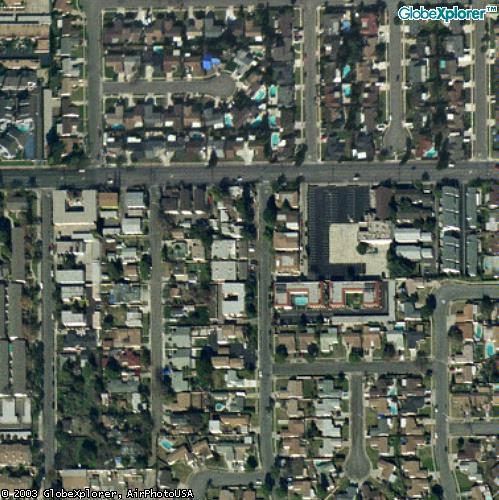 I'm three-years old with a hatch date of 03/2000, with a loving first father (S. Meyers - TX) who hand-fed me up until the day Louis adopted me, and now Louis (Orange County - Newport Beach, CA.) hand feeds me twice a day so go him! I was named Kiwi because Scott thought I was a female, but DNA tests state I'm a boy, so no more calling me she because it hurts my manly feelings! I enjoy being outside with my new daddy and have a blast as he spends all day with me, so I'm going to see how I adjust when he returns to school next week. I have four step-brothers and sisters which are Budgeriars, but I'm rather indifferent to them as they dont bother me and I dont bother them. I think they might be a little jealous, because daddy plays with me all day, but I know it's because he wants me to be comfy with him and my new surroundings. 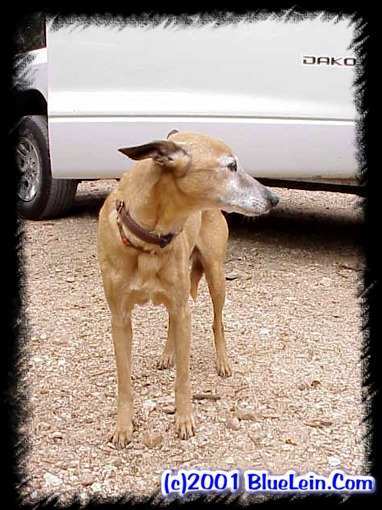 Louis started looking into birds after his Whippet "Jack-a-Lope" died in his arms on 04/10/2003, as he was 20-years old, and it was about his time to pass away. This creates the extra burden on me to live up to the Jack-a-Lope's legacy, as we are both two different species and pets altogether! I have faith in my new daddy, as he must have done something right to have his Jack-a-Lope live 20 years, so I cant wait to grow old with him. I have to brag about myself now, because this is my webpage! I must say I have not bit Louis once, and in fact give him little kisses and lick him all the time. I scream when he leaves the room, so I think I'm starting to train him into taking me where he goes @ all times. Yesterday was my first day in the shower. This means I saw him nekkid, so dont tell his GF because she might get a little jealous of me watching him take a shower. I even stood on Louis's finger and went under the shower head for a few minutes and enjoyed every minute of it! In fact, my coat is so shiny so I cant wait to do that every single day. I've been well taken care of, and have been to the vet on several occasions and even have a microchip in case I ever get lost. Louis is having a hard time trying to get me to eat anything other than Harrisons Bird Foods - Adult Lifetime Fine, as this is all I have grow accustomed to, and I even ignore any and all seeds! 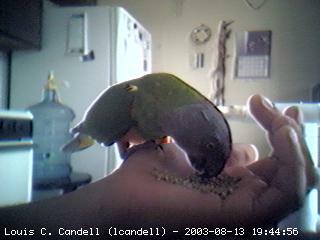 Camorama - GNOME 2 Webcam Application used to Stream Kiwi the Senegal Parrot. Thank's for stopping by and please come back again!